Today I experienced Dog Sledding amidst a Whitehorse winter! We went to a place called “Muktuk Adventures”. Our group included our guide, Maureen from CTC, Daisuke, and 4 Chinese Tourists. I love dogs, so I was pretty pleased. 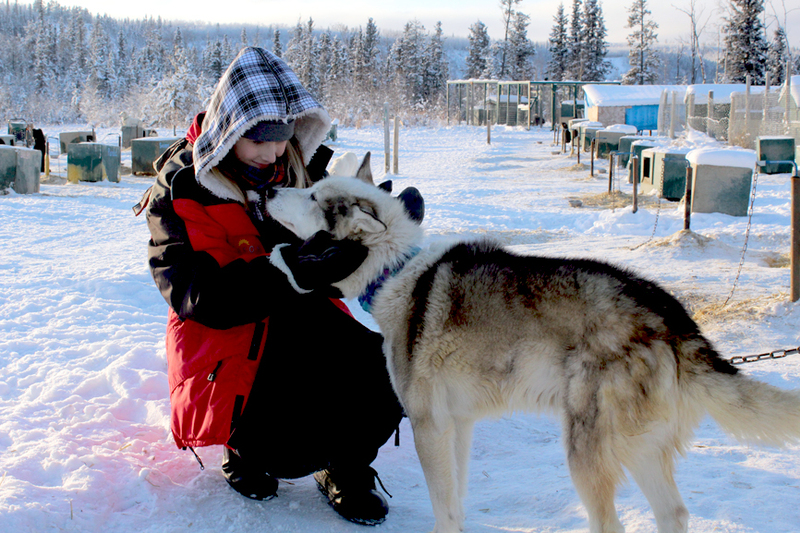 The dogs were friendly and energetic, they wanted to go sledding so badly, they barked a lot. They had about 6 dogs for every team. Maureen from the CTC was my driver, so I sat in the sled and enjoyed the scenery. Even the dog’s butts were cute! 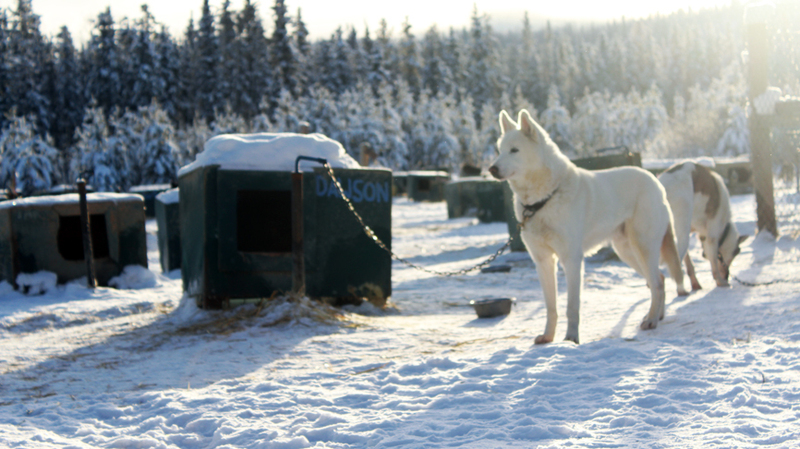 The location of the dogs on the team depends on their personality. For example, the leader of a dog sled team isn’t the strongest, but the smartest dog. And the dogs at the back always looked at US, not forward. They didn’t have confidence, so they were better as followers than leaders. And the two dogs at the front remained focused and constantly moved forward. Seeing the dogs become a team, and work together, was really cool. I definitely want you all to try this someday. Posted in Canada, Events, Tourism, TravelTagged #RealCanada, 2011, アドベンチャー, カナダ, カナダ観光局, ホワイトホース, ミカエラ, ユーコン, Canada, Canadian Tourism Commission, ciaela, CTC, 犬ぞり, Dog, 英語, 観光, Muktuk Adventures, Sledding, Tourism, travel, Vancouver, Whitehorse, Yukon, 日本語, 体験Bookmark the permalink. Looks like you had a great experience Mic! Everyone should get to do this at least once in thier lives. 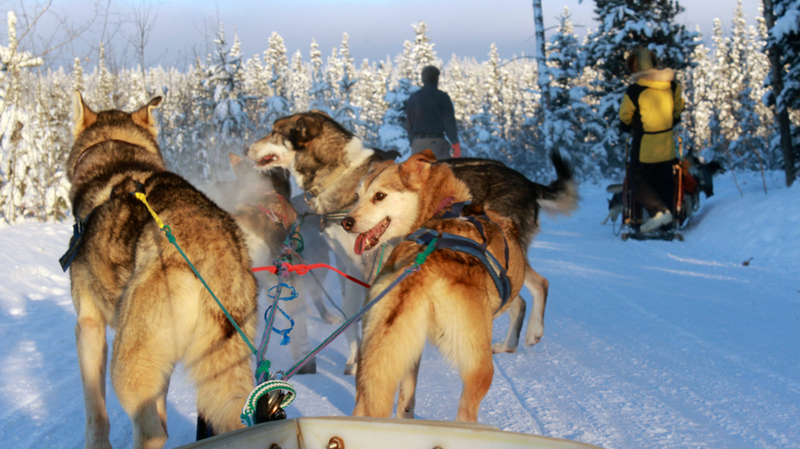 The dogs love the work….I know now that our dogs are too old to sled anymore they really miss it. They need the work and love the work. Happy for you! This is great! I am so pleased you had this experience. Take care of yourself for your physical condition please! !